The final part is ready, part 3 of 3. This part contains 10 pages of patterns, the parts are simpler compare to Going Merry in the same section. Assembled model has 58 cm in height, 47 cm length and 30 cm width. These model parts use a lot of cylinder or tube shapes, so you have to choose the correct paper weight, I recommend to use 120 gram. All three sails are double sided and you can replace flag beams with toothpicks. This pattern originally was posted on papermodelers.com by Edgardo Rivera. He asked me a permission for that purpose about a month ago. 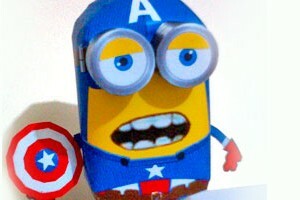 Edgardo have modify “Despicable Me" Minion wearing Captain America costume, include with the shield and it turned out so cute. Then I asked him to share this pattern to me so I can share it in Paper Replika, and here it is. This one sheet pattern originally in bitmap format then I convert it into PDF but still in bitmap PDF. There is no assembly instructions, but you can figure out yourself easily or you can open the previous Minions page for additional help. Due to the large demand for the model of the Thousand Sunny then finally I made it. 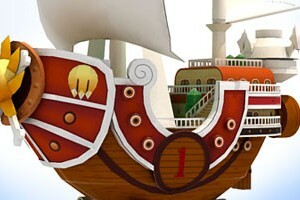 As the Going Merry, this Thousand Sunny paper model will be divided into 3 parts. 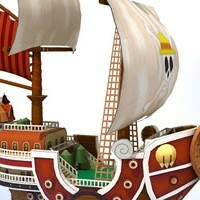 This model is slightly larger than the Going Merry with different scales. 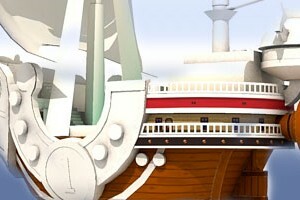 Because if I use the same scale as the Going Merry, the Thousand Sunny will be very large in size. Which will result in a lot of parts that would be difficult to put in A4 size paper. This ship model is still using construction frames inside the hull. I hope I can finish all parts in 2012, but I doubt it because less than a week from now it will be Christmas. Merry Christmas everyone, happy holiday and may the force always be with us all , cheers. 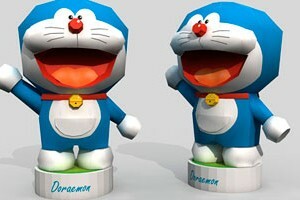 There are several Doraemon paper crafts existed around the net. This is simply my own version, Paper Replika version and for celebrating 100 years before the birth of this future robot cat (2112). I often made a paper craft series but ended up with no continuation after the first one is released. I hope it is not too late, released after Nobita template in 2010. Hahaha it’s been two year with no update :p. The size of this figure is with the same scale with Nobita paper craft. This template contains 3 pages of patterns.